With the recent proliferation of DIY app building tools and online resources for those who want to learn code, a lot of entrepreneurs have been tempted lately to build their own app. While DIY app development may have its appeal, it’s not as simple as it may seem. However, depending on your abilities and needs, building your own app may be the way to go. In this article, we’re going to give you an introduction on both approaches and weigh the pros and cons so you can make the right decision. Before you decide if you’re going to build your app on your own, you first have to assess your needs. First, do you need cross platform compatibility or are you going to stick to one operating system? You should also assess if the app will be native or web based. These questions are very important as they will affect both the complexity of the app and the cost to have it developed. Also, your decision will have a direct incidence on the level of maintenance your app will need. 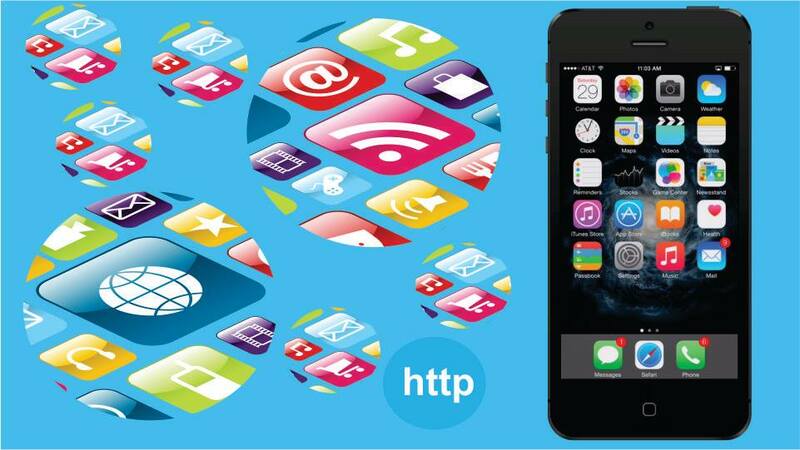 For instance, native apps are much more extensive and therefore demand more development time and maintenance. If you decide to go the native route and need the app to run across multiple platforms, this could easily double or triple your development costs. You should also assess if you need a completely new app or if you can work from a package and make modifications. If you simply want to add a feature like a social media feed to your website, this can easily be done with a package. Or if you want to improve communication between your sales department, management and clients, there are some readymade CRM solutions out there. It all depends on what you need. Another crucial thing you have to assess is the volume and the nature of the data the app will handle. For instance, apps that handle critical data will require significantly more work. If you need an app that will handle sensitive business or client information, you’d be better off working with a talented development team that will make sure that the app is secure and reliable. You could also find a few experienced coders on freelance sites like CodeClerks.com. And last, but not least, you need to assess how fast you need the app to be up and running. For instance, if you need a fully functional app in a few weeks, you’ll probably have a hard time doing it on your own, especially if you have limited coding knowledge. However, if you have no problem waiting a bit longer or releasing a bare bones app at first and adding functions as you go, you could always build it yourself if you feel it is within your scope of capabilities. If you’re a business owner and you need an elaborate app done but you have limited resources in house, going the outsourced route might seem like a no brainer. And indeed, hiring a team of coders does have its fair share of benefits. However, there are some downsides that need to be considered as well. For instance, high level development teams can be very costly. While the costs of hiring coders through a freelance site may be less expensive, highly rated coders will still command top dollar. However, if you’re looking for quality work, there is really no way to work around this. Also, many people overlook the maintenance part of building an app. Maintenance costs can easily add up over time. You not only have to find a great developer, but also make sure that he will be willing to offer maintenance at a reasonable price. There’s really no guarantee that a contractor will stick around if you need assistance. Also, being dependent on a team of coders may close you out of some of the most intricate aspects of the app, so you may end up being dependent on the team later on. On the flip side, working with a great team will allow you to have a great app up and running in no time. Experienced developers usually have ready made coding templates that will allow you to cut on the time it will take to develop your app. If you’re trying to build a complex app or an app that requires a higher level of security, then you’ll probably have no choice but to work with a development team or a group of coders. Another advantage of working with a reputable team is that most have a solid track record backing them up and can usually guarantee a certain time frame for a fully functional app to be launched. When using the DIY approach, development time can take more time than expected because of the learning curve. Some bugs and unexpected issues might pop up that could slow down the development process as well. And the time and resources spent on building the app could be allocated to more urgent priorities. Training in house talent can be very costly and time consuming. And if your employees have limited IT knowledge, they might never develop the skills needed for the job. You should really only explore that option if you have someone with a significant IT background on your team. If you absolutely have to build the talent from scratch, make sure you go for fast learning analytical types with a knack for problem solving. So, should you go the DIY route or outsource to a team of developers? Well, it all depends on your needs. If you need something simple or feel like you can handle the learning curve and time it will take to build a fully functional app, go for it. But if you need something more complex and you don’t have the time nor the resources to build the app in house, then you should definitely consider outsourcing.